The 2019 proposal period is closed. 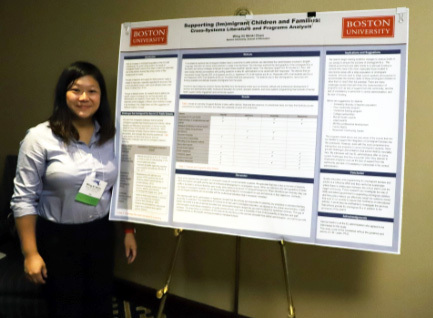 MATSOL invites currently matriculated students in teacher preparation programs to submit a proposal to present a poster session on a topic related to English learner education at MATSOL 2019 Conference. 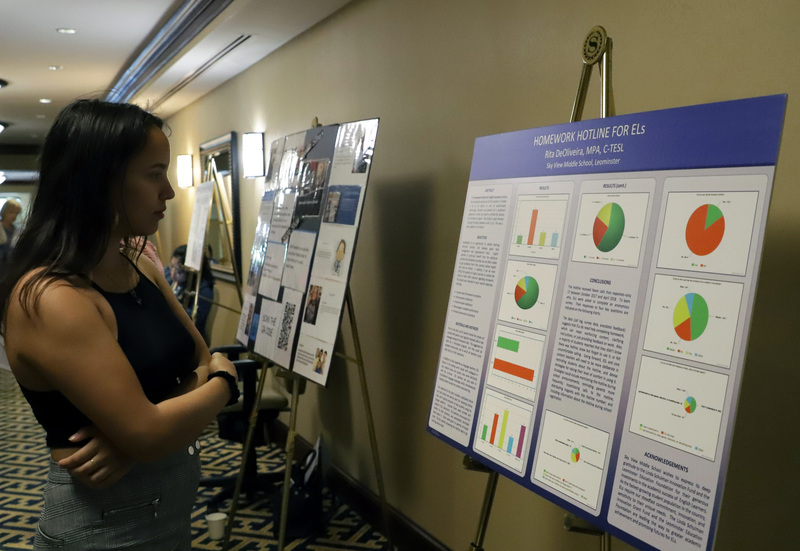 Posters should contain a summary of an academically sound scholarly or creative project presented in a visually engaging format, highlighting work through charts, graphs, maps, etc. Proposals should include the main topic(s) and description of the visual display. Presenters should plan on short, informative discussions with convention attendees throughout the entire poster session. We encourage students to become involved in the MATSOL Conference by submitting a poster session proposal! Posters should focus on classroom activities, promising practices, or research related to the education of English learners. Poster session proposals are open only to students matriculated in a degree program (proof of student status required). Presenters must prepare 36” x 48” poster displays. See TESOL’s “Preparation Guidelines for Poster Session” for formatting suggestions (note that MATSOL posters are smaller in size). MATSOL will supply tripods. Poster session presenters must register for the conference on the day they present and pay the registration fee of $60 (50% the $120 early registration rate). NOTE: If presenters fail to register, accepted posters are subject to removal from the program. MATSOL cannot reimburse presenters for expenses associated with the conference, including travel, hotel, cost of producing handouts, or any other expenses. See the Poster Session Call for Proposals for details. Download and carefully review the Poster Session Call for Proposals. Prepare the information for your proposal.